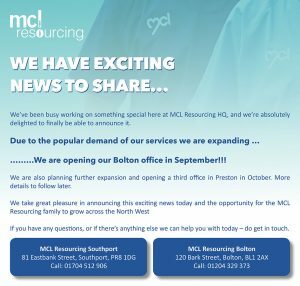 I would like to subscribe to the MCL Resourcing newsletter. The MCL Group (Int) Limited T/A MCL Resourcing registered company number 03858827. © MCL Resourcing All Rights Reserved.